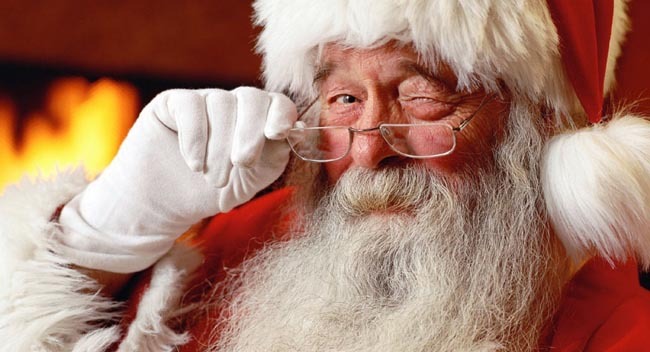 Only men need apply for the position of Father Christmas in a town’s traditional Christmas Eve event after councillors agreed to ‘politely decline’ a woman’s request to step into his boots. Great Aycliffe Town Council rejected a sub-committee recommendation to allow a female volunteer, who wanted to be Santa rather than a navigator for this year’s Town Tour, to take on the role. Members heard that enough men had volunteered to fill the 14 Santa roles needed so decided not to run the risk of awkward questions from children if they spotted a woman in costume. Leader Councillor Bob Fleming, a great grandfather and retired primary school headteacher, said: “In my experience there is a small window in a child’s life when children are innocent, full of wonder and joy as they look forward to Christmas. All but one member supported his proposal to only let men be Santa so they do not “spoil the wonder and magic and leave parents to pick up the pieces”. Councillor Arun Chandran supported him. He said if there was ever a shortage of male volunteers he could be convinced to support female Santas if it meant more children got to see Santa in their street– but not for the sake of political correctness over the public’s wishes and tradition. Cllr John Clare said it was clear residents do not want the tradition changing but that in future, as a ‘modern-thinking society’, it would be valid to consider whether Santa could be female, black, a rainbow or disabled. The debate came in the wake of a public campaign to save the tours after the council became concerned about the legalities of carrying Santa on the back of a van and insurance implications. Last month, after being reassured by Durham’s top police officer Chief Constable Mike Barton that his officers were not ‘elf and safety’ mad and the tour could continue if the sleigh travels at a safe pace, the council agreed it would go ahead.